This entry was written by Sarah Jenkins, posted on 03/19/2010 at 3:55 am, filed under March 2010 category. Today’s journey was a bittersweet one. 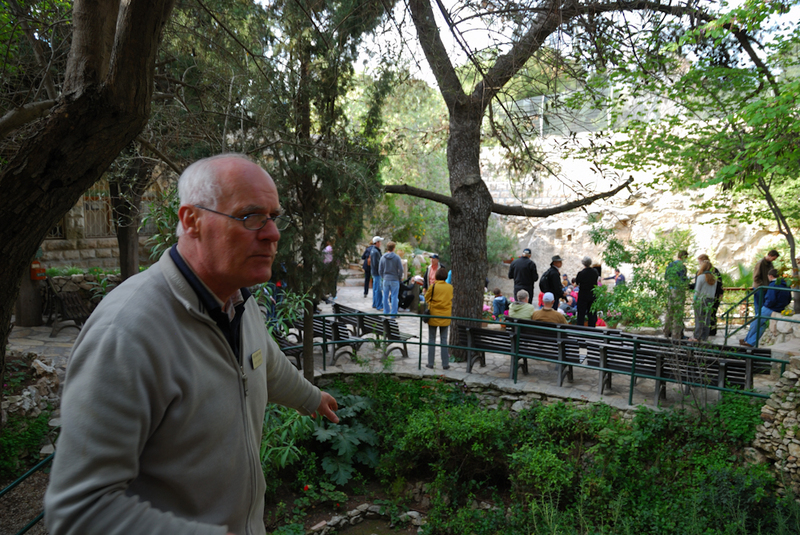 Not only was it our last day of touring the Holy Land, but it was also the day we visited some very emotionally charged sites, namely Golgotha and the Garden Tomb. 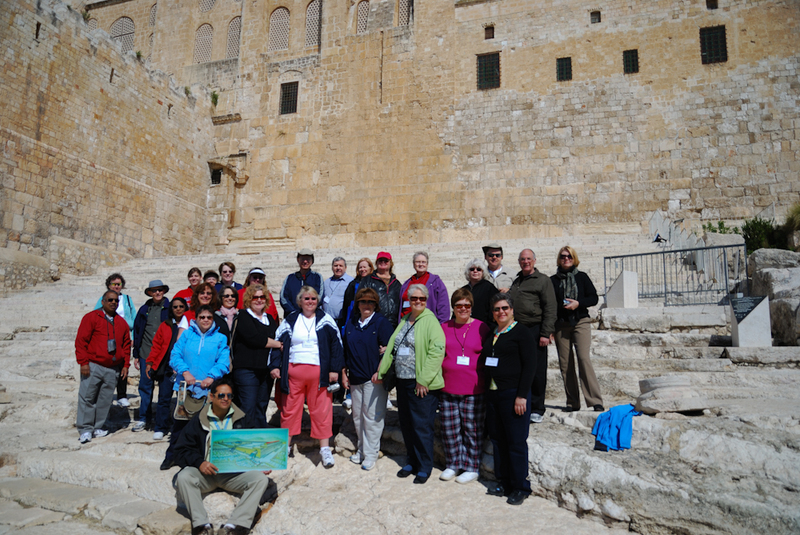 We started the day off, however, with a trip to the excavations at the Temple Mount. 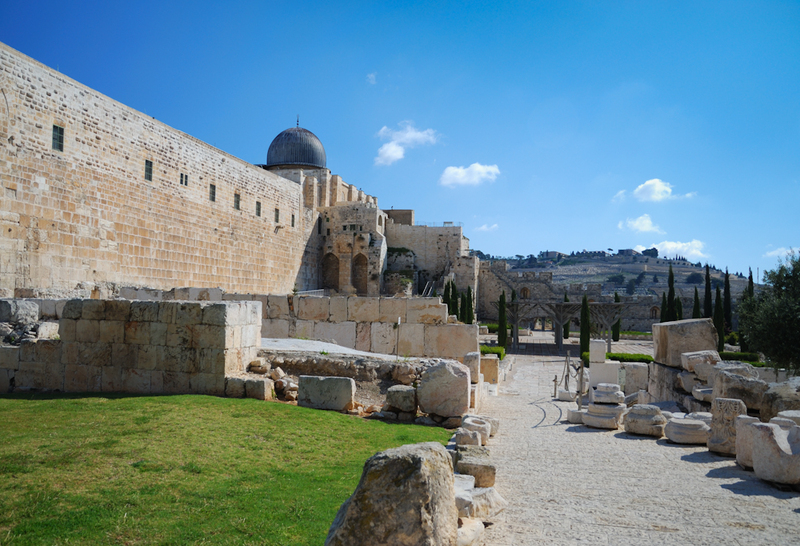 This is a fascinating site — there is still a lot to see, even though it was basically a trash dump for hundreds of years after the Temple was destroyed in 70AD. A picture taken in the 1800s shows a man sitting directly below the ruins of what was once a large arch. This would not be so unusual, except for the fact that this arch, named Robinson’s Arch, was once roughly 45 feet above the ground! 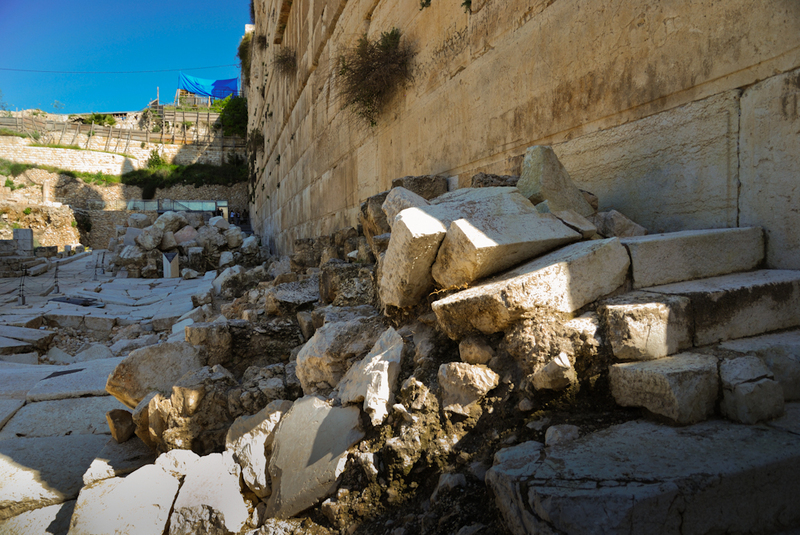 Once excavations began, wonderful things were uncovered, such as part of the same road we had walked on underground in the Western Wall Excavation Tunnel! 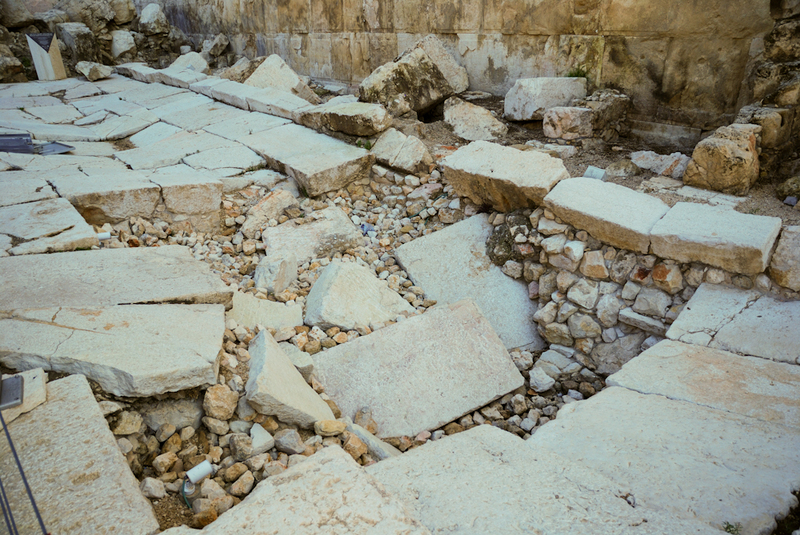 Those stones date back to the time of Jesus, and there is even a place where one can still see the damage from the Roman destruction of the Temple — there is a large section of the road that was destroyed from stones being pushed from the walls to the ground below. 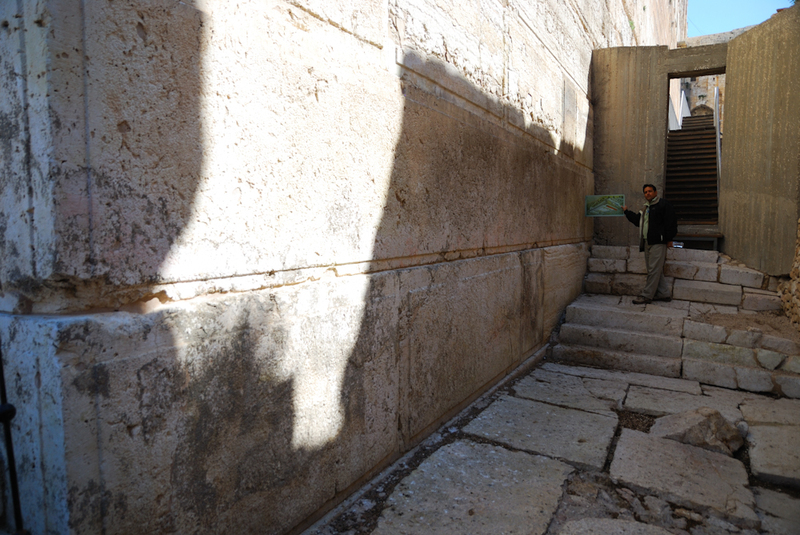 Yuval directs our attention to a fragment of a stone with some Hebrew writing on it, and explains to us that it means something similar to the “Way of the Trumpets.” This was a sign directing people to where the Shofars, the traditional rams-horn trumpets, would have sounded from the Temple. 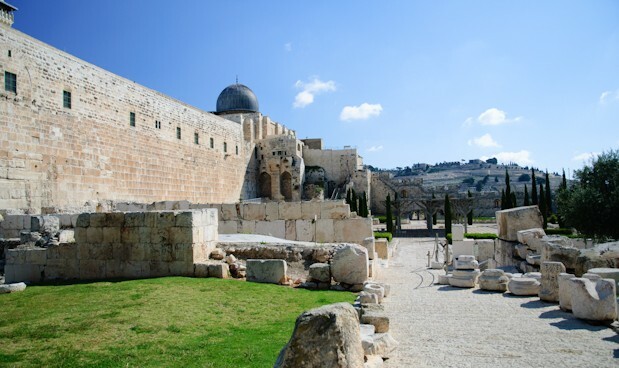 This sign alone pretty much “X marks the spot” – it is very good proof that the Temple was, indeed very near this site, and not somewhere else as the Moslems have claimed. 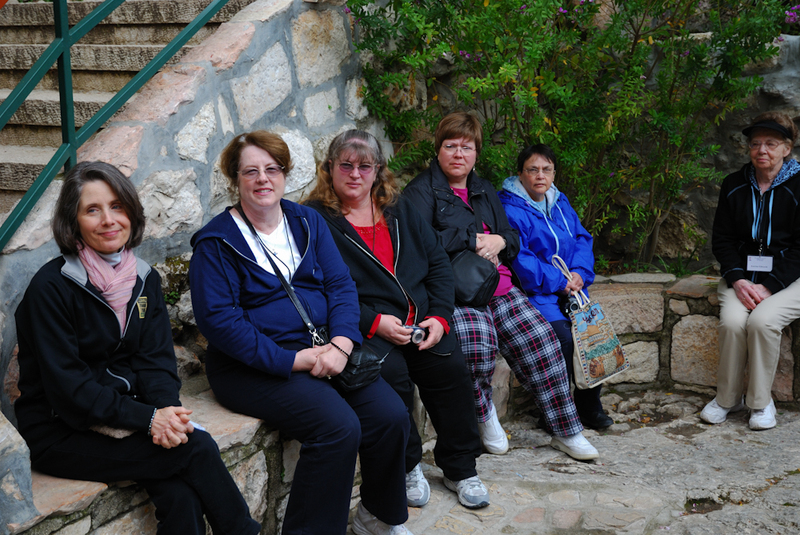 We were also able to climb the Southern Steps. 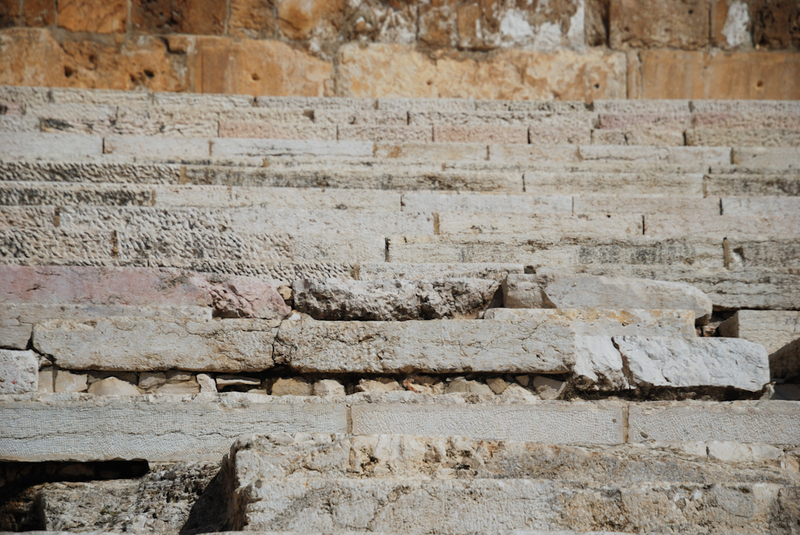 These steps were the path into the temple for pilgrims coming from the rest of Israel to offer sacrifices. 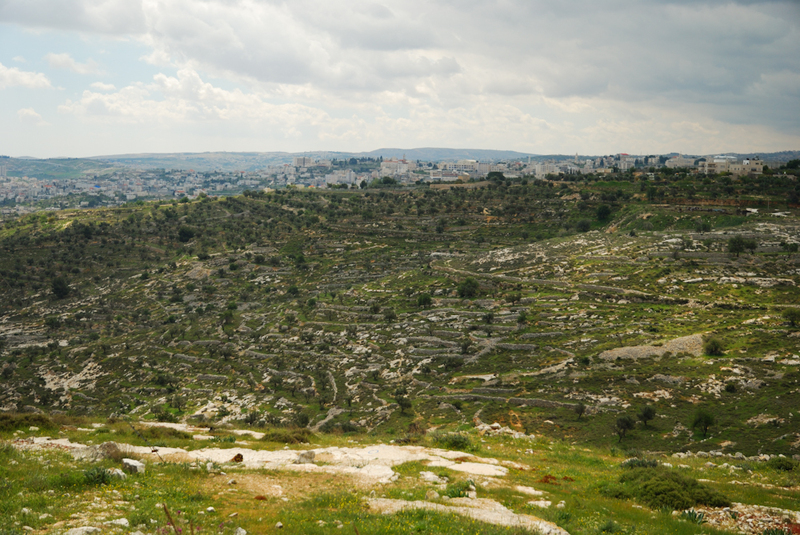 After we watched a short but fascinating film describing how the Temple would have looked in Jesus’ day, we boarded the bus and headed for the a hill overlooking the Shepherd’s Field and Bethelehem beyond. 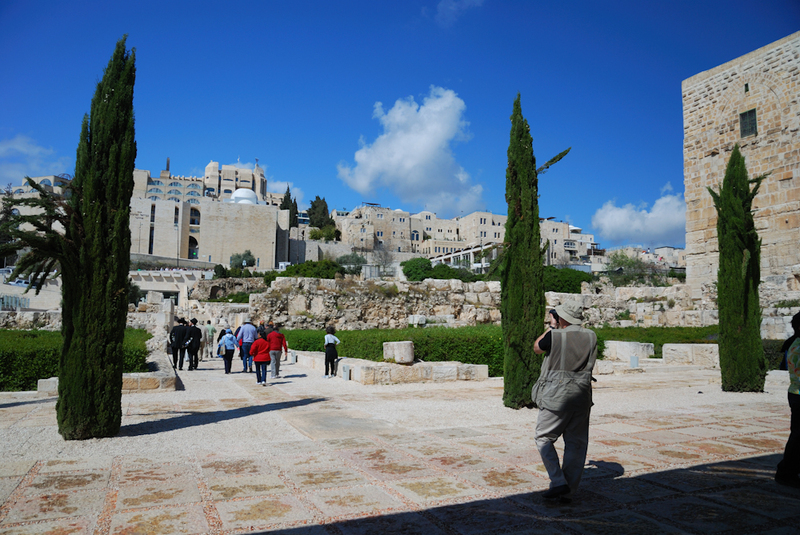 It absolutely gave me the chills to know that I gazed on the town were our Saviour was born, and later in the day I was to look at the place where He was crucified and rose again. 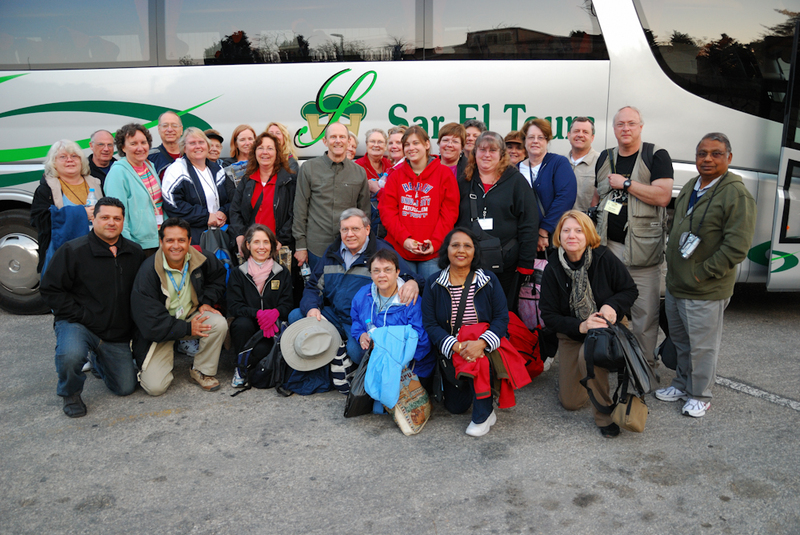 We did not linger here very long, but boarded the bus for a hour journey to the Valley of Elah. 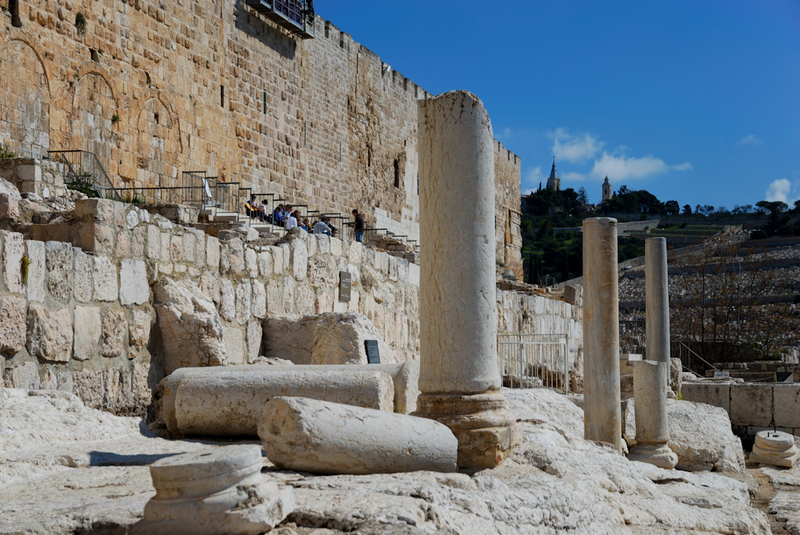 This is the place where David killed Goliath. The brook where he gathered the five small stones is dry, for now, but during the rainy season water will again flow here. 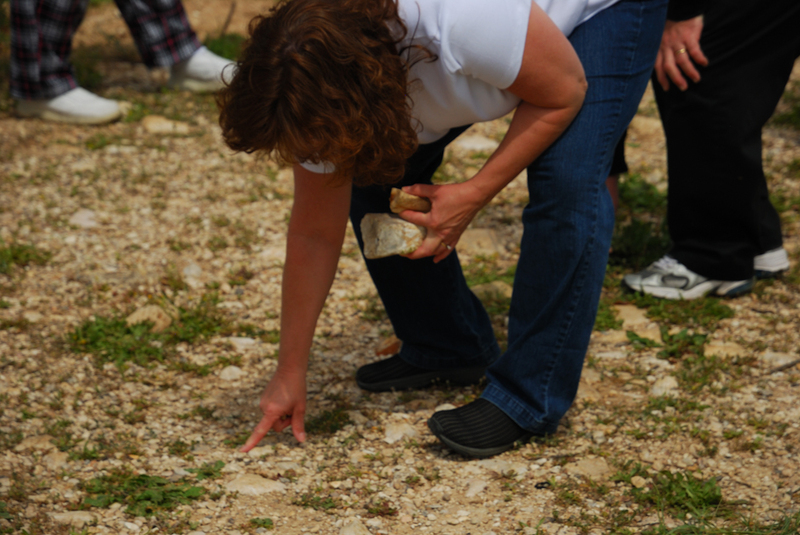 We, of course, paused for a moment to find some smooth stones of our own. 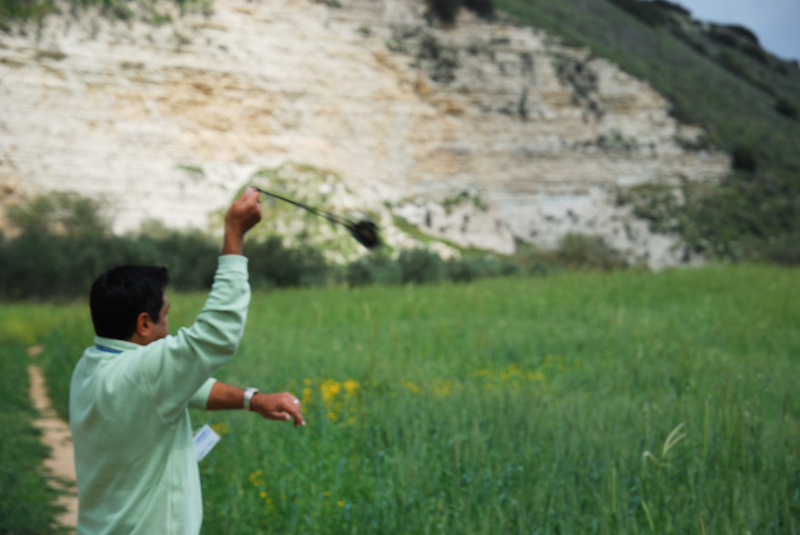 Yuval also demonstrated exactly how David’s slingshot would have worked, and after seeing Yuval hurl that rock across the field, it was easy to see how getting one of those to the head would knock even a giant out cold. 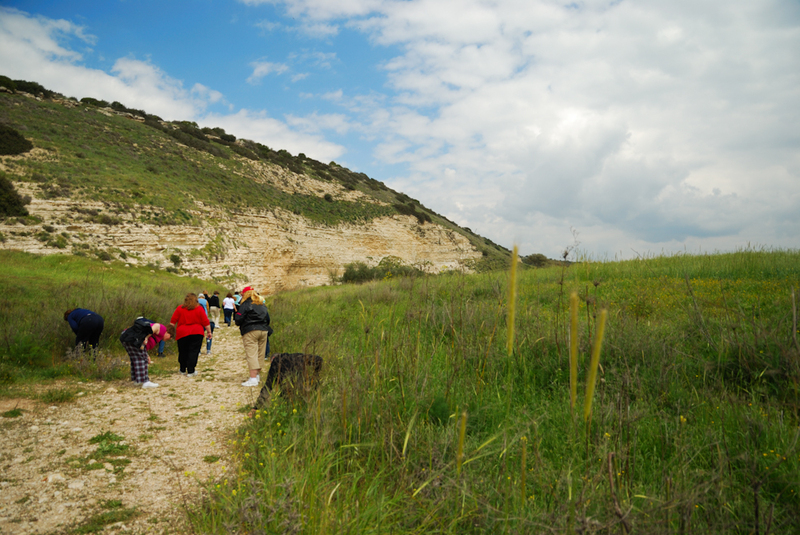 After leaving the Valley of Elah, we stopped at a kibbutz for lunch and made our way back to Jerusalem; Golgotha and the Garden Tomb were to be our final stops for today. 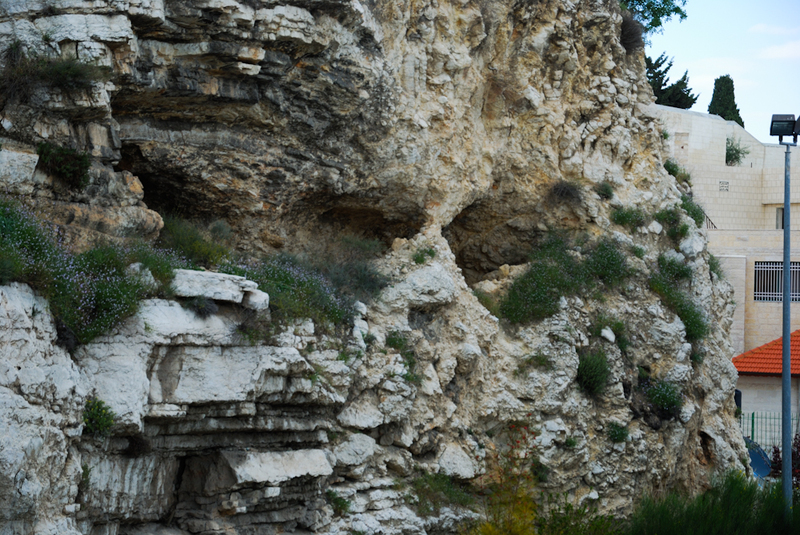 Even though the area leading up to the overlook is beautiful and serene, the sight of Golgotha is bone-chilling. It is easy to see why it is called the “place of the skull” — two eyes stare plainly out at you from the craggy surface of the small hill. 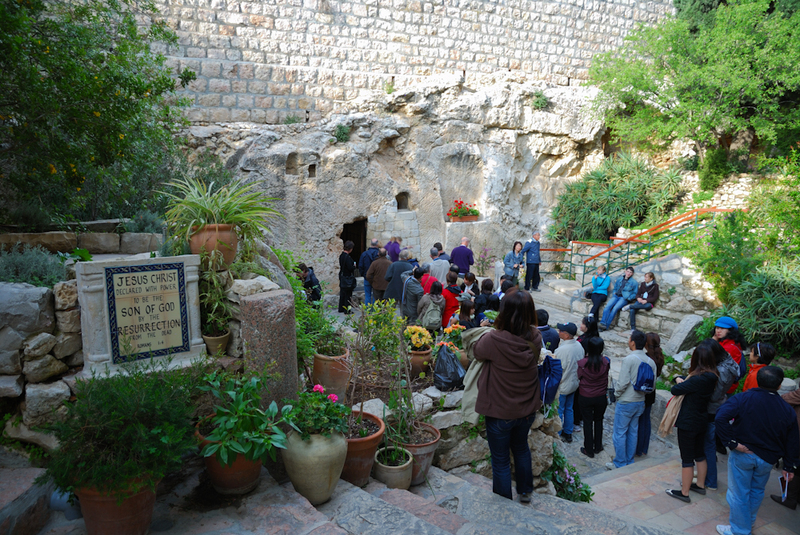 As we soon learned, it is widely believed that Jesus would have been crucified not on top of Golgotha, but actually below it. This was the place where, traditionally, Roman executions were carried out, and indeed some bones were found on the site which would definitely support that theory. 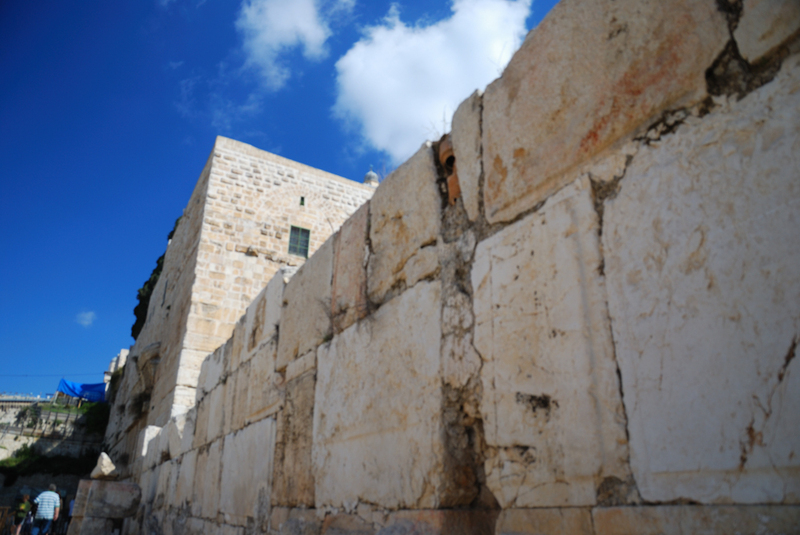 It is slightly numbing to stare back into the two rocky eyes, and remember that THIS is the place where Jesus took on all the sins of everyone who ever existed or would ever exist, and in doing so was separated from God. 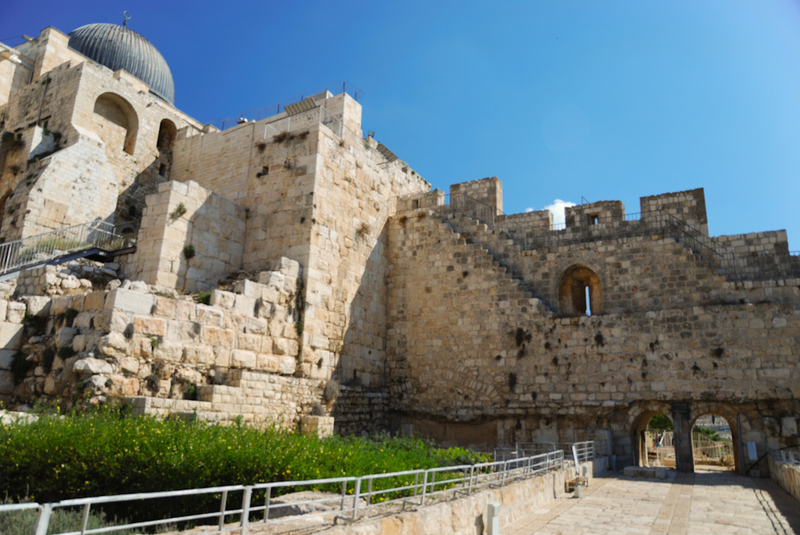 This sadness, however, is tempered by the fact that you know that just around the corner from where you stand is the place where He triumphed over the grave, and rose again! 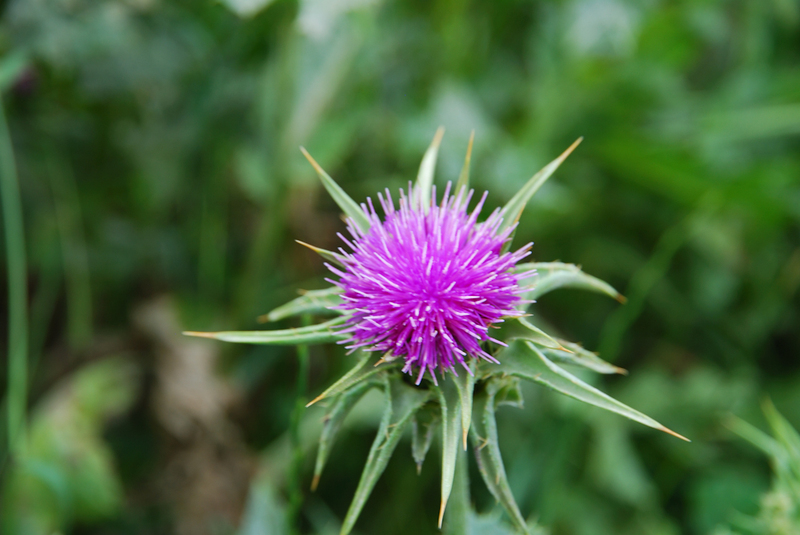 It is a place of great happiness, and gratefulness. How amazing to think that He would humble Himself, take on a broken, imperfect form, and finally suffer horribly and die, all so that we can someday enjoy eternal life by His side in heaven. It’s almost too much to comprehend. 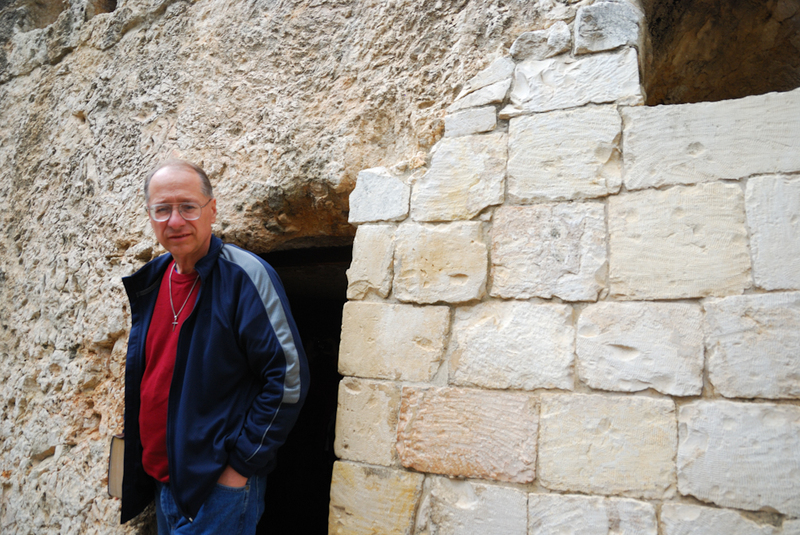 Standing inside the empty tomb, and looking at the place where they would have laid His body for only three days is something that I will never forget. 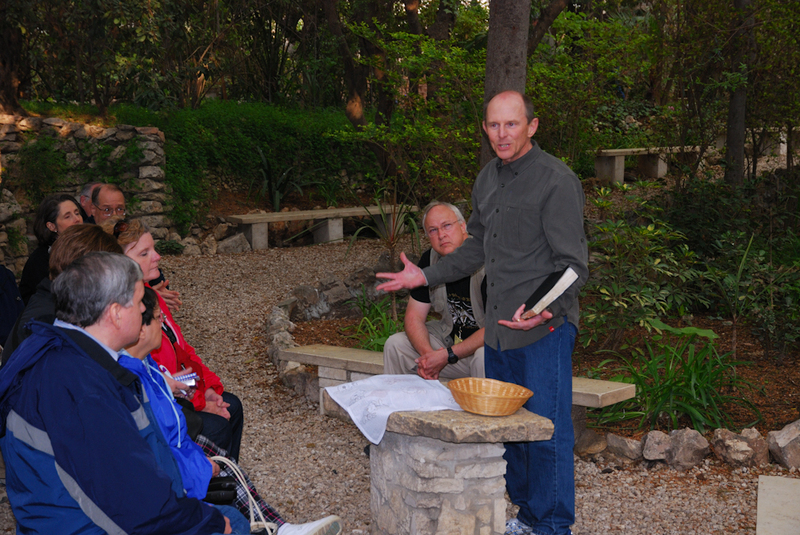 Once we all had a chance to stand in the Garden Tomb, we went to a small dell nearby to have a private communion service. This was our last official act as part of the tour, and what a meaningful one it was! 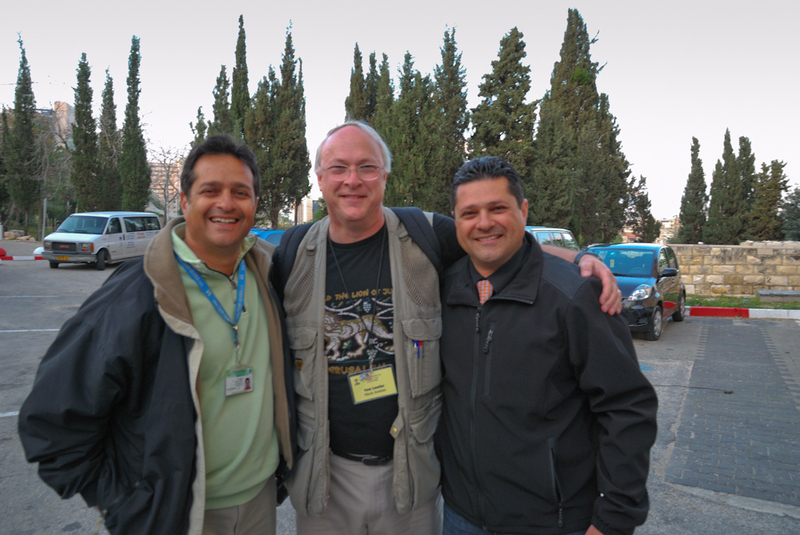 I’ll see you all next year on our next Israel trip in March of 2011. 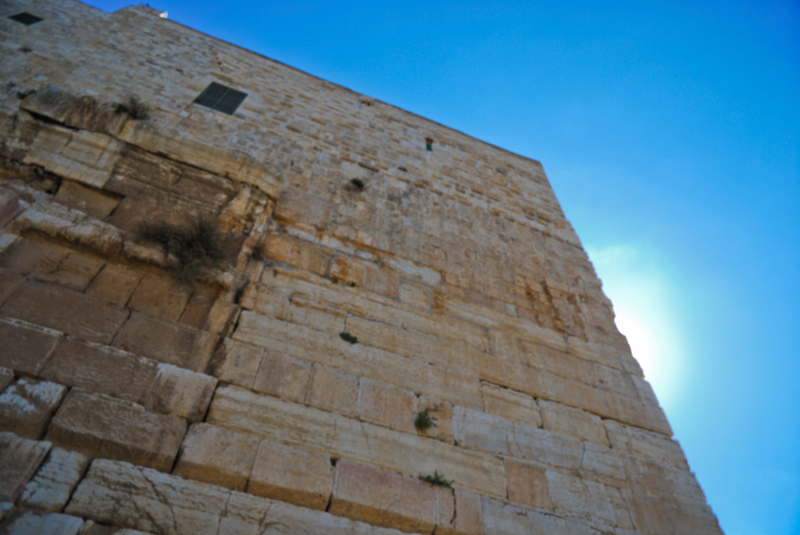 Until then, keep Israel in your thoughts and remember to pray for the peace of Jerusalem.